In general, there are three approaches to connecting the hook. First we can cinch the knot down to the eye of the hook – the leader is thus in firm contact with the fly. Secondly, we can have the hook loose in a loop, that can be fashioned in many ways – the hook is thus loose and the belief is that it will lead to a more “natural” movement of the fly. Thirdly we can thread the leader through the eye and tie it to the shank of the hook (a snelled hook) – this is a good method for hooks used with tubes. If we choose to cinch the knot onto the hook eye. Uni knot is simple to tie strong and reliable. Improved Clinch knot is probably the most widely used knot in trout fishing. Simple to tie and reliable for tippet less than 15 pounds’ test. I do not use it for heavier tippet. 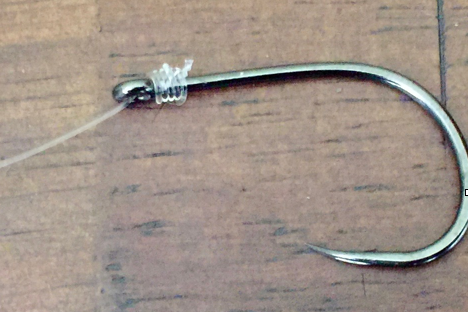 Non-slip loop knot is simple to tie and strong. Surgeon’s loop is very simple to tie and strong. 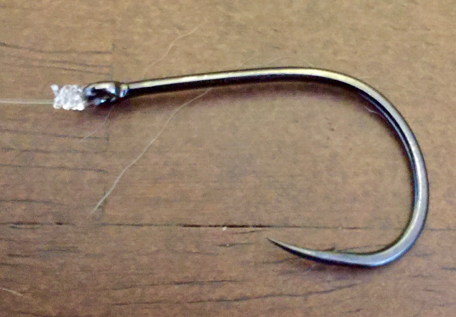 Snell knot is useful for tube hooks. You have been wondering if captain Baz’s knots would hold. You will find out here.